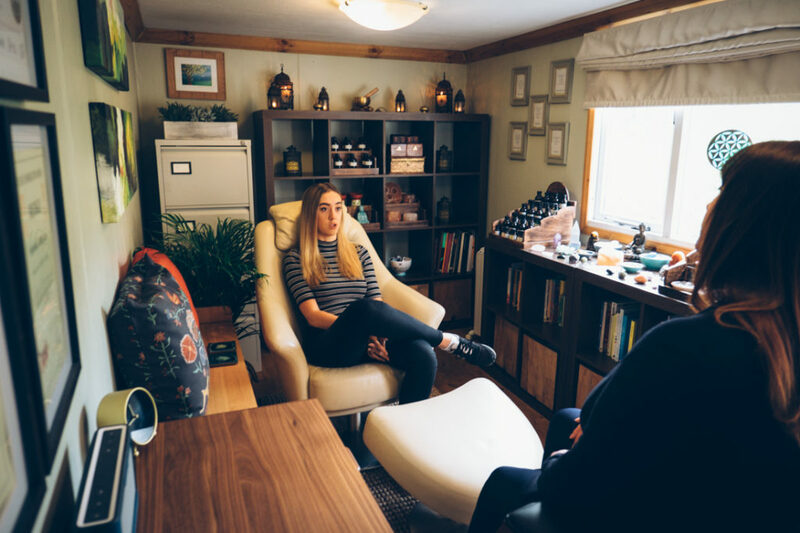 So really, what is hypnotherapy; Hypnotherapy is a concentrated and relaxed state that allows the focus of a particular idea, concept or lifestyle adaptation. It is also a sensation you already experience twice a day …when you are drifting off into sleep and that bit between sleeping and waking fully, you know you’re not asleep but also not awake. 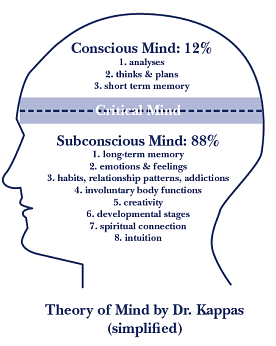 Our subconscious makes up around 88% of our complete mind, the conscious is around 12%. While our conscious mind analyses, thinks and plans and holds our short term memory (around 7 thoughts at one time)- our subconscious is responsible for long term memory,emotions and feelings, habits, relationship patterns, addictions, involuntary body functions, creativity,developmental stages, spiritual connection and intuition. So in short our subconscious mind holds all of the information that is responsible for forming our behaviours, hypnotherapy allows us direct access to this powerful part of the brain. A trained hypnotherapist can guide a client into this relaxed state and can comminuicate directly to the subconscious mind with suggestions and ideas reprogramming it. While relaxed the person may appear asleep, but is actually far more open to sensations such as taste, smell, feeling, hearing. you are fully able to communicate and have total control of yourself throughout the hypnosis. You will never be asked to do anything you are uncomfortable with, as your conscious mind would kick in and bring you out of this relaxed state. Suggestion therapy involves the hypnotherapist giving an individuals unconscious mind a series of suggestions. Suggestion therapy is often used when there is no root cause that needs to be considered, such as a nerves for a wedding speech or exams. Can anyone be hypnotised? Is there anyone who shouldn’t be hypnotised? Yes……there are some people who would not be recommended to have hypnotherapy such as people who have been victims of heart attacks or strokes – they would not be recommended to do any analytical therapy… also people who suffer with epilepsy or psycotic episodes should not be taken into hypnosis. How long is a session and what should I expect in length of sessions required? Hypnotherapy sessions last between 60-90 minutes (other than smoking cessetion which is 2-2.5 hours). Suggestion therapy would usually be between 1-3 sessions, and for analysis work between 5-12 sessions. The initial consultation is free of charge. So now you know what is hypnotherapy, every session is unique and personal to the clients needs, using whichever combination of therapies will be the most beneficial. I work within a strict code of ethics governed by the national hypnotherapy society and will always keep the sessions to a minimum.